A tray of super cute nutter butter/frosting sandals! The shells and starfish were made using a shell mold found at Michaels! 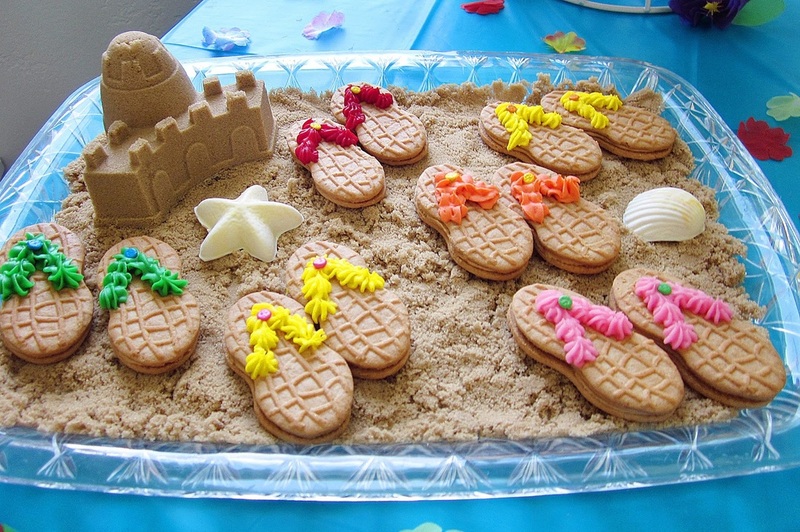 The sandcastles were made by packing brown sugar into small sand castle molds (found at Dollar Tree!) They were one of my favorite details!